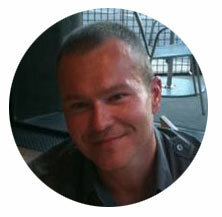 Thomas Swisher is the founder and lead SEO Consultant at Structured SEO. At Structured SEO we offer Custom SEO Consulting Services for small to mid-size companies. We understand your business has unique needs. We built our Consulting Services around four primary areas Technical SEO, Off-Site SEO, On-Page SEO and Information Architecture. Why our SEO Consulting Services? As a consultant, we concentrate on complementing your existing SEO efforts by leveraging your strengths and identifying your weaknesses. Search Engine algorithms include many factors, many of which we can’t directly identify. Each year these algorithms become more complex. At Structured SEO we use tools to track and analyze any effects changes have on your website’s ranking. Many of today’s blackhat techniques were considered gray hat yesterday. At Structured SEO we believe that long-term white hat is the only acceptable SEO strategy. There are no shortcuts in SEO. Before we start any project, we want to learn more about you. What is your business and who are your competitors? Have you worked with other SEO Agencies? What are your goals? What are your expectations? Everything we do is above board. We want to ensure that we can deliver the results you expect. We suggest starting with an SEO Audit to better understand the health of your website. If your site isn’t built on a solid foundation, then it will diminish any work we do. 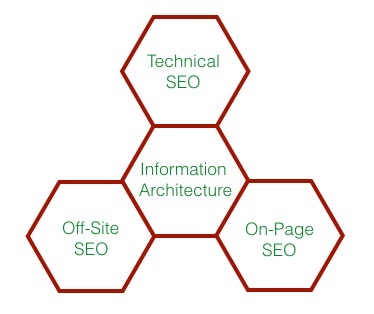 For example, if your on-page SEO isn’t optimized then any link building done will have minimal effect on your ranking. Today user experience has a direct impact on your ranking and how well a user can navigate your site is top of the list. How your site’s internal linking structure is designed directly affects user experience and search engines ability to crawl your site. Keywords are the foundation of your site. Get insights into your competition and learn about new opportunities. On-Page SEO has a direct impact on your rankings. Learn how to optimize each page for your target keywords and insights into what strategies your competitors are using. Link building isn’t a one and done event. A good linking building strategy will help your current keywords and give you the ability to target more keywords in the future. Learn how your current links are affecting your rankings and find out what strategies your competitors are using. If you are a brick and mortar business or service, local SEO is going to be vital to your success. We can show you where to focus your time and resources. Google has made it clear that speed is a ranking factor. We can review your site and help you optimize it for speed. In April 2015 Google released a new mobile-friendly ranking algorithm. If you aren’t mobile friendly, we can review your site and help you get mobile optimized. Our consulting service is designed to help your company define and meet your SEO goals. We will suggest ideas, help you create an SEO strategy and periodically review it to make sure everything is on course to meet the goals you have set. We give you the support and confidence to execute your SEO strategies yourself. Your success is in your hands.